Offers you don't want to miss! 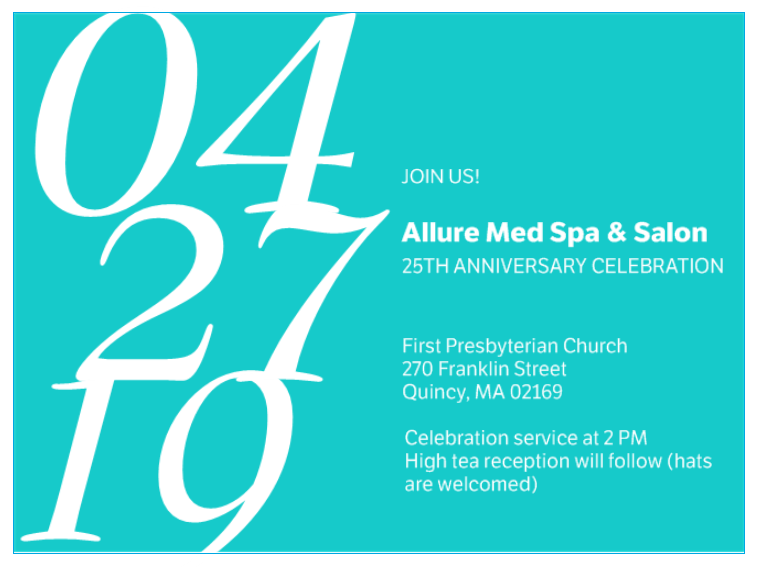 I'm so excited to celebrate Allure's anniversary with you! It's hard to believe that 25 years have passed so quickly. When I think about where I came from and how I got to where I am today, I can only believe that it is strictly by the grace of God. It's hard to contain my testimony because I just want to let it out, but I will save it for our celebration on April 27. I'd be lying if I said that I'm not proud of the accomplishments, but I think the journey is what's truly worthy of celebration. I'm looking forward to sharing it with you! Your presence and present enough but if you feel compelled to do more, we'll be collecting donations for the church's youth ministry. I want to pour a blessing into our young people and into you as well. There'll be giveaways to win and fun to be had. The high tea reception isn't meant to sound formal but feel free to wear your Easter hat again if you want. Call or visit us for more details. As warmth and moisture returns to the air, now is a good time to exfoliate, cleanse and hydrate your body. 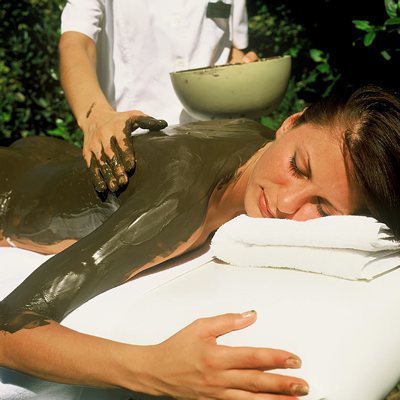 We offer a variety services that are designed to restore, relax and tone your body. Our newest hair stylist, Adelina looks forward to servicing you! Save 25% * on your first color treatment with Adelina. For our clients age 65 and older, we're offering 50% off * of hair services performed by one our junior stylists. Please schedule your appointment between 9 AM and 1 PM. This offer is valid until May 31, 2019. *Offer cannot be combined with other offers or promotions.